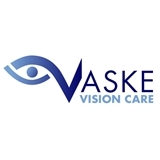 Vaske Vision Care (Parker) - Book Appointment Online! Vaske Vision Care has some of the most technologically advanced equipment available for our patients! We are pleased to inform you that during your next visit to Vaske Vision Care, you will experience the benefits of the latest high technology in primary eye care – the Optomap® Retinal Exam. This scanning laser ophthalmoscope is a wellness screening tool that assists us in the evaluation of your retina. With the Optomap® we can discover any abnormalities or confirm the health of your retina, diagnose any potentially harmful diseases and determine the best course of action.